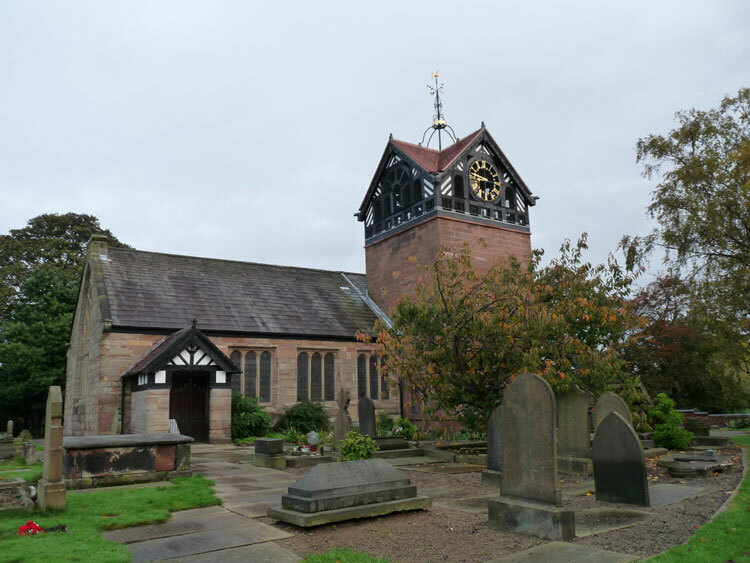 Ashton-upon-Mersey(St. Martin) Churchyard contains 16 burials from both World Wars, - 8 from the First World War and 8 from the Second World War. One burial is that of a soldier of the Yorkshire Regiment. However, this burial is unique in that the soldier's son, a casualty of the Second World War) shares the same grave and headstone, - the son being buried 30 years after his father. We are very grateful to Mike Berrell for the photographs of the headstone and St. Martin's Church. Lance Corporal Charles Joseph Dewhurst. 202628. 4th Battalion the Yorkshire Regiment. Died at home 20 February 1917. Born Manchester, Enlisted Manchester, Resided Urmston. 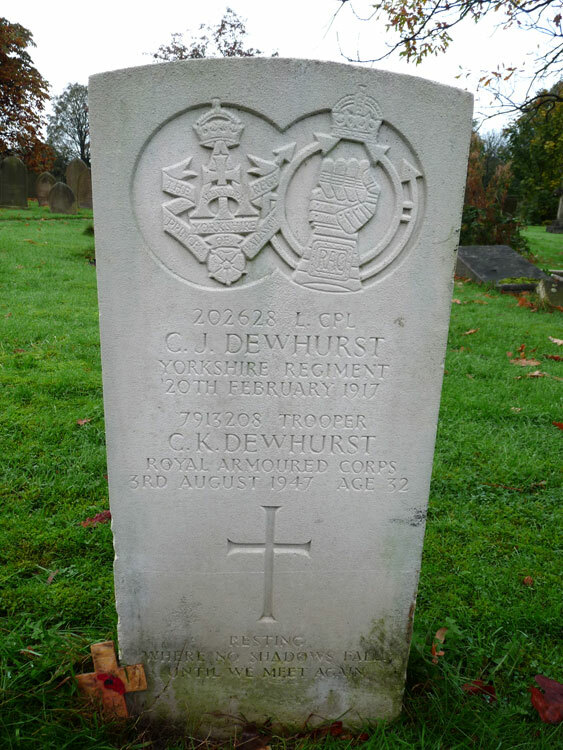 Trooper Charles Kenneth Dewhurst. 7913209. Royal Armoured Corps. Son of Charles Joseph Dewhurst, and of Lily Dewhurst, of Long Island City, New York, U.S.A. Died at home 3 August 1947. Aged 32. Charles Joseph Dewhurst was born in Manchester in 1882, the son of Thomas Cowell and Minnie E Dewhurst. In the winter of 1910, he married Lily Gayter and their only child, Charles Kenneth, was born at Urmston in the spring of 1915. Lily appears to have emigrated to the USA after her husband's death as her address on her son's CWGC record is Long Island City, New York, although I can't find any record of this. Charles Kenneth left Liverpool on board the "Britannic" on 24/4/1931 bound for New York. He returned to the UK arriving on 7/10/1934.